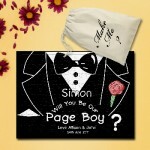 Thank you for being our ring bearer personalised Brown Teddy Bear Gift. 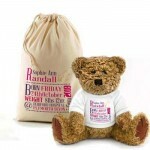 Thank you for being our Page Boy personalised Brown Teddy Bear Gift. Personalised Cute Cuddly Bear In A Bag. Lovely wedding thank you for your little Page Boy's personalised with any text or name this personalised teddy bear in a bag is a great gift. These lovely bears have got to be the softest bears you can get.... cute and cuddly with a personalised t-shirt. 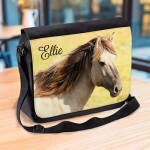 They do have a smile under all the soft fur, a perfect gift for anyone who like cute things. The printed shirt can come with your words or if you just want our example text with your details included that's great. You have the option of a cream or light brown colour bear, they both have different expressions and personalities so your choice, if you are buying for girls or boys you can mix the colours. The Large Bear is approximately 30 cm tall in sitting position. Plush cream and mid brown coloured bear. White cotton removable short sleeve t-shirt. These personalised cotton bags are especially printed to match the bear. Personalised Jigsaw Puzzle.Your Little flower girls will love this puzzle, not only do they have the surprise of being asked if they want to be a flow.. Kids, Satin Dressing Gown / Robe / Kimono.A Lovely Floral Bouquet of flowers design is used to decorate this child size robe, to match the adult robe,..
Children's Flower Girl robe. 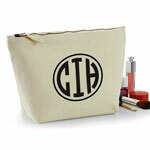 Monogram Initials Design. 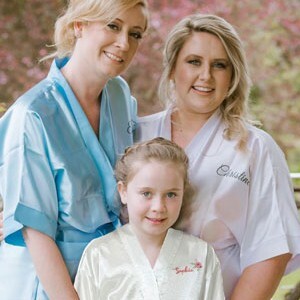 Bride, Flower Girl, Bridesmaid Satin Robe. Thank you for being my Bridesmaid, flower girl personalised Teddy bear Gift. Personalised Cute Cuddly Bear In A Bag.Lovely wedding thank you for your little flower girls, bridesmaids personalised with any text or name this pers..